Purchase of any pharmaceutical on this site is covered under the regulations of one's home state requirements. pharmacy, etc. ], DEA #, CPM, LM, TM, CNM, APRN. 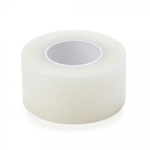 Caring Transparent Tape, 1" x 10 yd. Caring Transparent Tape, 2" x 10 yd. No License Needed for Purchase!